And, if you’re looking to save on your energy bills, Family Danz is pleased to offer high-efficiency furnace installation to our Albany, NY customers as well. All of our products are installed by our highly skilled technicians, who take pride in craftsmanship and in the great products they offer. 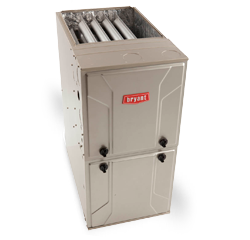 Our aim is your complete satisfaction with your furnace installation. For the best furnace installation in the Albany, NY area, count on Family Danz. There’s no need to freeze through another cold, blustery Albany, NY winter – when you call Family Danz for your furnace installation, you’ll choose from our wide selection of exceptional, high-efficiency systems from some of the best brands in the furnace business. We promise to treat you like family – we’re not finished until you’re completely satisfied with your new furnace system. Turn to the experts at Family Danz. Simply give us a call at (518) 427-8685, and we will be happy to help.